Want to scratch "make awesome dessert" off your Thanksgiving to-do list? And share a dessert that everyone can enjoy? Great Flavors Bakery is here to help! We load our artisan cakes with fresh, local, often organic ingredients and they are brimming with amazing flavor (and magically, no gluten–but you’d never, ever know by their award-winning* taste). 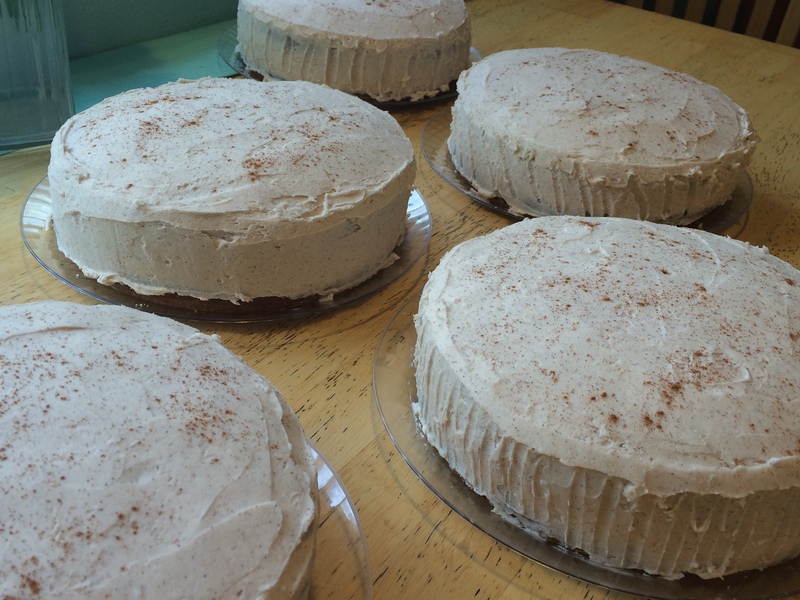 Carrot Cake: Fresh carrots and warm spices combine to create a tender, moist cake finished with a buttercream frosting. Double-layer 9-inch cake. 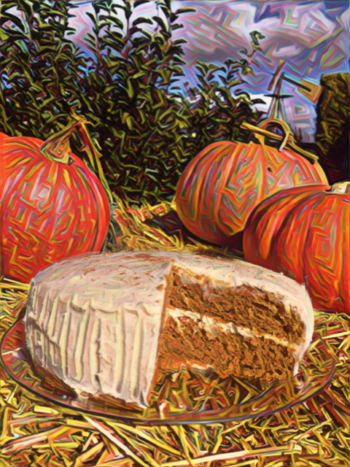 Order by Friday 11/17 and your cake (brown-butter pumpkin or carrot) will be created and ready Wednesday 11/22 for pickup or delivery in Five Cities and SLO city limits. Each 9″ double-layer cake is frosted with genuine buttercream frosting (no shortening, lard, or margarine here). Our cakes are hand-crafted and made to order, so quantities are limited. Brown-butter Pumpkin Cake: Pumpkin. Brown sugar. Sweet spices. Browned butter. Deeply flavorful, light-textured cake with a cinnamon-touched buttercream frosting. Double-layer 9-inch cake. *Our carrot cake won top prize in the Cake category at the 2017 Arroyo Grande Harvest Festival competition. Even more exciting? We won in the taste-test of all cakes entered, not a gluten-free category. Sweet.